There were 670 press releases posted in the last 24 hours and 153,345 in the last 365 days. Estala Skin Care launches its new product in the line of their beauty accessories. SEMINOLE, FLORIDA, UNITED STATES OF AMERICA, March 1, 2019 /EINPresswire.com/ -- Estala Skin Care has not only been popular because of their powerful anti-aging and anti-acne creams but is now being known for their top quality beauty accessories. One of the famous accessories from Estala Skin Care is their Holywood Vanity Mirror that has been their best seller since last year. This month, Estala Skin Care, proudly announces another addition to their high-quality beauty accessories, the UV LED NAIL DRYER LAMP. Estala's 48W UV LED NAIL DRYER LAMP, does not only dries your polish quicker than other low-quality nail lamps, but these amazing nail dryer won't leave your nails dripping for a hassle-free polish application. No more waiting for your base coat as its double power button delivers cure speeds up to twice as fast as standard UV LED nail lamps. Estala's Smart Nail Lamp gives you the freedom to choose your drying time and has a high tech auto-sensor to turn the lamp on/off without pressing any keys plus a large LCD screen to show curing time. 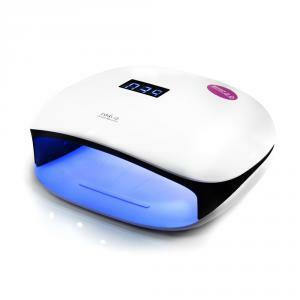 This luxury UV LED NAIL DRYER also works with all types of nail polish, from Basic Polish to Gel Nails and Acrylic to Shellac Polish, this awesome nail dryer got you covered. The secret of this incredible nail lamps is that its LED beads are evenly distributed inside to uniformly cure your nails. So if you want to have a no fuss at home manicure and pedicure that will make you feel like you're at the spa, go to Estala Skin Care's website to purchase your very own smart LED Nail Dryer. As part of Estala Skin Care's mission to make everyone feel great and look their best, no matter what, their top-notch beauty accessories including the newest nail dryer lamps are affordable and simple to use to bring a sense of ease to your beauty routine. The smart nail dryer comes with a 1-year warranty, of either a replacement or a full refund, in the unlikely case that it does not perform as advertised.